With already two weeks into the New Year, I know many of us are trying our best to feed ourselves & our families healthier meals. Sometimes though, it becomes a struggle to find healthy dinner recipes that your family will enjoy. 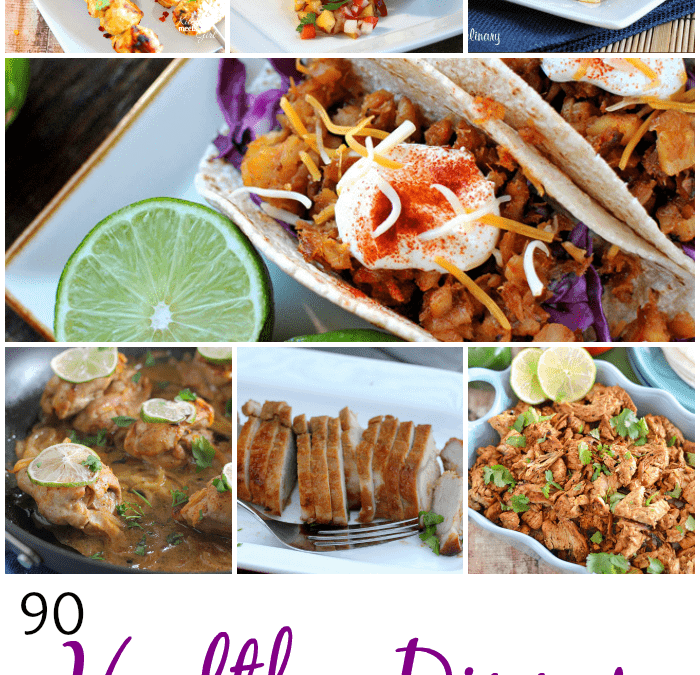 We’ve rounded up 90 of the most delicious Healthy Dinner Recipes from some amazing bloggers! Whether you are a fan of chicken, beef or seafood, we have a recipe for you! Trying to sneak more veggies into your diet or your kids diets? We’ve got recipes to help you out as well!! And be sure to stay tuned, because soon we’ll be featuring Healthy Meatless Dinner Recipes for you too!! 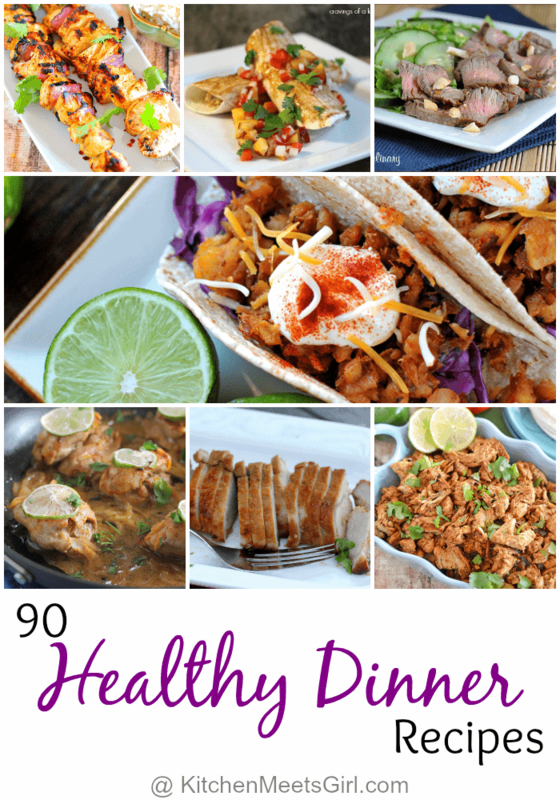 Enjoy these 90 Healthy Dinner Recipes! Beautiful! Thanks so much for including my recipes. So many fabulous recipes! Pinned! Yum!!! What a fabulous collection. Thank you so much for including two of my creations! Thanks for using my stir fry and enchiladas. I really appreciate it. I seriously want one of everything. Fabulous collection of healthy dinner recipes! I really loved this list! I’m so excited for the dinner party in our house this coming weekend.